If you enjoy the social side of camping and caravanning, you can join a local Branch of our club (See map) and attend a Rally/meet. Here you can choose to enjoy the social activities of a small friendly local group as well as being part of our major national events which occur annually. We offer a “Try it before you Join” at some meets, so just for the price of the weekend, you can see if you would like to become a full member of the ICCC. Email info@iccc.ie if interested. 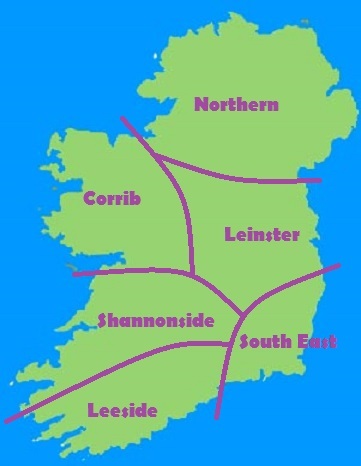 The lines on the map are indicative and are meant as a guide only. 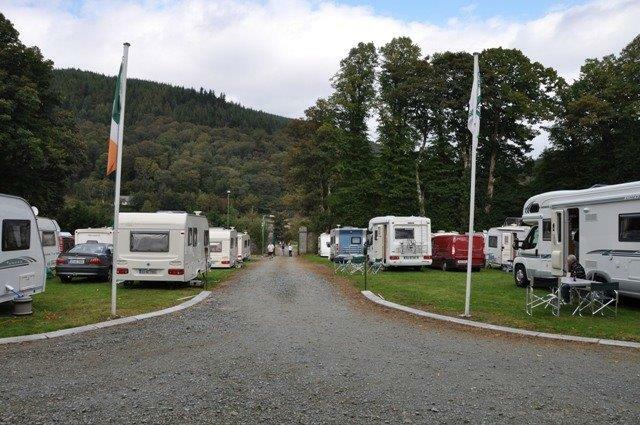 By being attached to a particular branch, means that you are a member of the overall Irish Camping & Caravan Club (ICCC) and thus you are most welcome to attend meets in any part of the country that suits your time and needs. 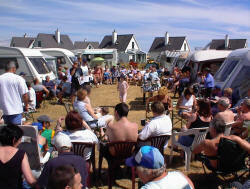 We cater for motorhomes, caravans and tents alike. 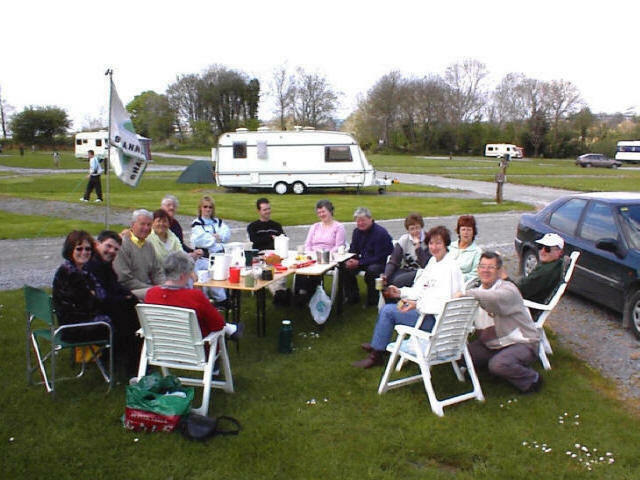 We represent every type of camping enthusiast from the young and old, families and singles, millionaires and pensioners, workers to retired people. Family membership is available for Husband/Wife/Partner and dependents on a calendar year basis. Family Membership Costs just €63 p.a. So what is a Rally/Meet – A brief explanation? A rally/meet is a gathering of Club members, for a weekend or longer, to promote friendship and to pursue common pleasures and pastimes in a light-hearted manner, with the emphasis of having “fun for all the family” along the way. You should never feel obliged to join in any activity, which does not interest you, nor will you be pressured to do so! The rally stewards are ordinary members too, who have volunteered to organise and run the rally on behalf of the branch/club. This includes signing the approach routes to the site where necessary, marking out the site and organising the activities during the rally. The rally steward will also make arrangements for a water supply, and facilities for disposal of waste water and chemical toilet emptying. Starting time is given in each rally/meet entry so please do not arrive early unless by arrangement with the rally steward. On arrival you should stop at reception (usually the first van you meet upon entering the site) where you will be welcomed to the rally. 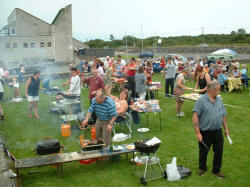 You will be greeted, given information about the rally programme of activities and location of facilities. The steward will guide you to your pitch and assist if required. 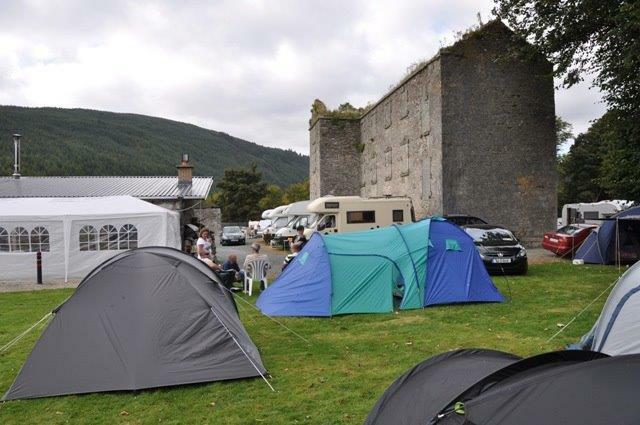 All you need in addition to normal caravan items is your own toilet, together with a container to fill it, a container or bag for dry rubbish, which it is normal to take home with you and your own battery (most rally sites do not have mains electricity). Leveling blocks and wedges are sometimes needed for uneven sites. Finally please read the Club Rules and if you have any questions and contact any officer or committee member for further information. The ICCC is open to all ideas etc. Should you wish to steward a rally/meet in the future, remember that you will never be left to do it alone. Please contact any member of committee. We look forward to your company.